Craft beers have taken off in the US and around the world. Beer is the number one alcoholic beverage in the world, but even so, 95% of the US market is dominated by big brewing giants led by Budweiser. Craft brewers make up the remainder, so there is still a long way to go for the craft brewing industry. Beer can be made at home or in a brewery, and the former comprises a thriving cottage industry from which many craft brewers have emerged. The basic principle behind brewing is the formation of alcohol from the fermentation of a starch grain, typically barley, but wheat is also used in some traditions. 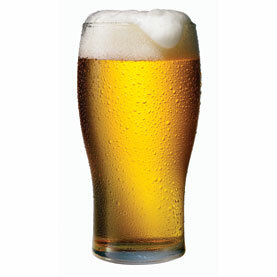 The US brewing industry also uses adjuncts such as rice as the starch source, and elsewhere around the world other starch sources are used to make alcohol. The starch grain is first turned into a ‘wort’. This is done by mixing the grain, typically malted barley, with hot water to make what is known as a ‘mash’. Brewers call the hot water ‘liquor’ which is initially mixed with crushed malt (known as ‘grist’) and this takes around an hour or two and helps start converting starch into sugar. This sweet wort is drained to leave the grains, which are now washed (known as ‘sparging’) and provides more liquid run-off which is capable of being fermented. The process of separating the grains from the wort and sparge water is known as ‘wort separation’. ‘Lautering’ is the traditional term for wort separation, which involves the grains being laid in a bed and acting as their own filtration medium. Modern brewers may use a series of frames to filter the grains and use a continuous sparge process which accumulates the wort and sparge water together. A third sparging may be used, but by now the fermentable components are becoming exhausted and this will result in a weaker beer. The stronger the wort, the stronger the beer. If a beer is brewed with the original wort, it will be stronger than a wort mixed with the sparge water, and so on. Brewing with several grain run-offs is known as ‘parti gyle’ brewing. The sweet wort is placed into a ‘copper’, essentially a giant kettle, which is then boiled (usually for an hour). Boiling results in water evaporation, but the sugar and fermentable components of the wort are left behind in a more concentrated form. Boiling also kills off any enzymes left over from the mashing. Hops are added at this point to provide the bitterness you taste in beer. The longer the hops are boiled, the greater the bitterness (for instance Dogfish Head 60 minute IPA is less bitter than its 90 minute version). There is a countering effect though, as the longer the hops are boiled the less they contribute in terms of flavor and the beer’s aroma, both important components. The next step is to cool the hopped wort and add yeast. Some breweries perform a ‘hopback’, which is passing the hopped wort through a hop-filled vat which also contains aromatic hops to add to the brew’s character. It is more usual that the cooled, hopped wort is simply passed through a ‘fermenter’, which is where the yeast is actually added. As it ferments, the wort is transformed into beer over the next week to several months, depending on the strength of the beer required and the yeast added. The yeast is added to speed up the fermentation process, turning the starch and sugars into more complex sugars and eventually into alcohol. The wort also contains particulates which settle during the fermentation process, along with the yeast, and this leaves the beer clear. Fermentation is usually a two-step process with a primary and secondary phase. Primary fermentation is where the bulk of the alcohol is produced, but upon being transferred to another vessel, usually where it will be stored for a lengthy period of time, secondary fermentation is allowed to take place. Secondary fermentation is also used where there is a need for exceptional clarity in the beer. The final stage in the brewing process is to package the beer. Within the craft beer industry, beer will either be bottled or placed in casks (hence cask ale) or a keg (occasionally it may be canned). Further conditioning may be applied if it is stored in casks, known as ‘cask conditioning’, which is typical of a British real ale pub. In this case, the beer is still ‘alive’ and capable of continuing fermentation, though it may also be done in bottled beer, known as ‘bottle conditioning’. Though popular in English real ales and many German specialty beers (Weissbier for instance), it is gaining in popularity with American craft brewers too. Next articlePainting wine glasses: the gear.